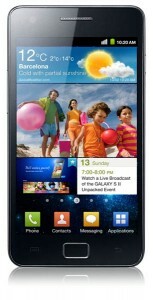 We just received our new Galaxy S II (what an amazing device! ), and wanted to share the specific procedures you’ll need to follow to sync via USB using CompanionLink and Dejaoffice. The Galaxy S II performs a bit differently than other devices, so you’ll need to follow these specific steps if you want to sync via USB. You also may want to consider syncing the Galaxy S II via Wi-Fi, as it is not subject to any of these limitations. 1. First, ensure that the phone is disconnected from the PC. 2. On the Galaxy S II, open Settings > Wireless and Network > USB Utilities. 3. Select “Connect storage to PC”. 4. Make sure CompanionLink is running on the PC, then connect the Galaxy S II to the PC using a USB cable. 5. Open DejaOffice, then tap “Sync” to begin. We’re working in a more automated method, but for now follow the steps above. Once again, our local Wi-Fi sync is fully automatic and is not subject to any of these restrictions. Questions? Comments? Let us know below!